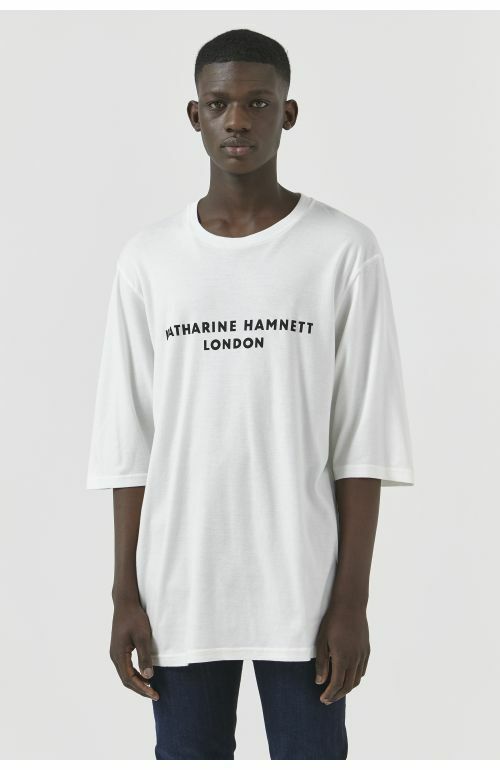 Katharine Hamnett London George Brown Organic Cotton Sweatshirt featuring short sleeves, classic logo on chest and back neck in organic cotton loop back sweat. Made in Italy. The model is 6'2.5"/ 187 CM and is wearing size M. 100% organic cotton loopback sweat.